Still sending! 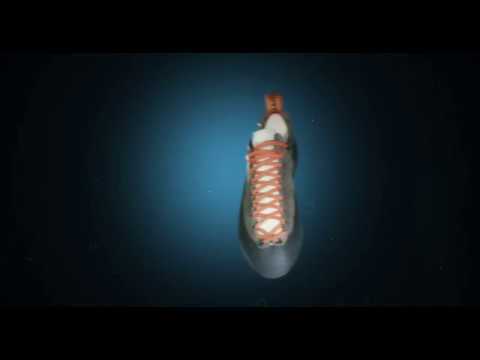 The Mythos might be the most successful climbing shoe ever made. A narrow toe profile excels on thin cracks, yet the midsoles are stiff enough to get some bite when edging. The wrap-around lacing system lets you tune the fit along the top of your foot and fine tune the cupping around your heel. This version features laces and webbing made from recycled fishing nets, a sole made from leftover rubber and leather that isn't processed with heavy metals. Uppers are biodegradable leather made using a metal-free tanning process. Laces and webbing are made from recycled fishing nets. Grippy 4mm thick La Sportiva Eco-Rubber outsole made from leftover rubber at the La Sportiva factory.